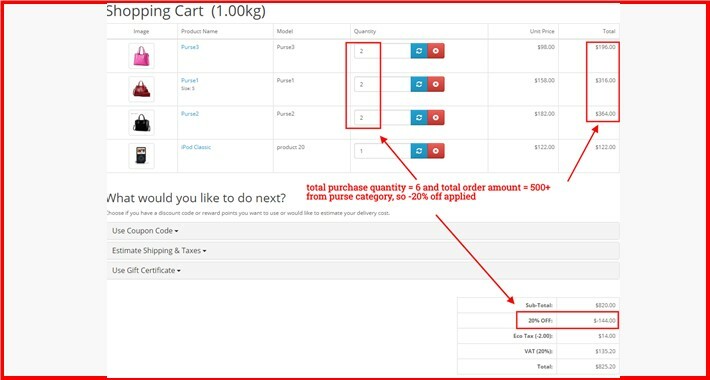 • Setup Discounts based on order total amount + order total quantity on selected categories. • Order Total From and To range based discount. • Order Total Quantity From and To range based discount. • 7. Admin > Category Based Order Total + Quantity Discount > Create unlimited discounts here.